Marta Marques and Paulo Almeida look to their Portuguese heritage for Spring '19, fusing traditional folk costumes with the grungy London punk spirit that's become their signature. 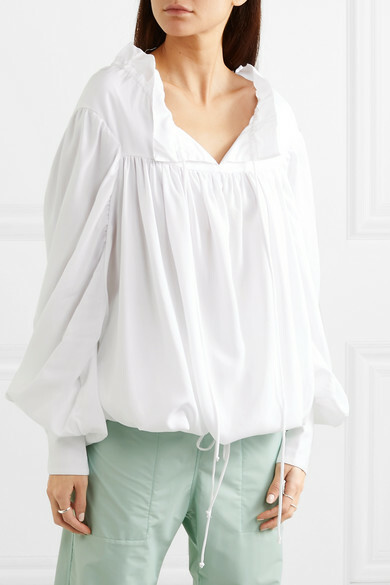 Made from lightweight Tencel, this blouse has an open ruffled collar and billowy puffed sleeves. 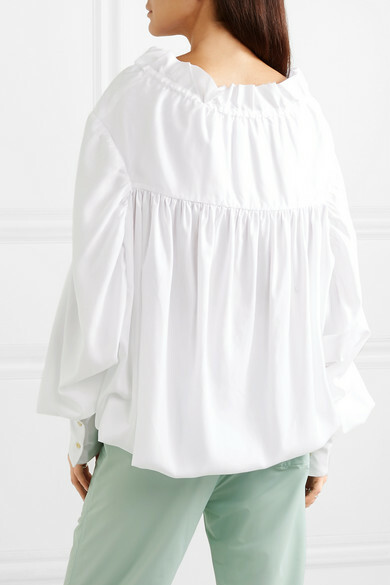 Pull the drawstring to balance the loose fit and style with straight-leg jeans or pants. Shown here with: Kwaidan Editions Pants, Burberry Shoulder bag, Prada Sandals.